← Join Hump Day $50 Giveaway: Facebook Page Likes! 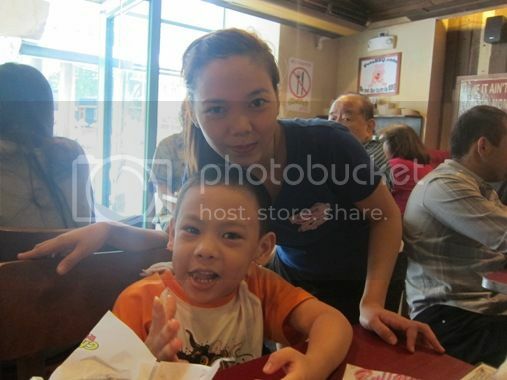 We went to our ENT doctor in Makati Medical Center last May 16, 2012 for ear cleaning. Because our names were in the middle of a long list of patients, we decided to go out for lunch. 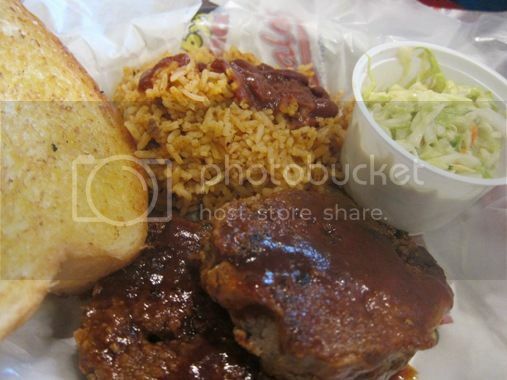 Hubby already has a place in mind—Chubby’s Rib Shack. He spotted it on our way to the hospital. 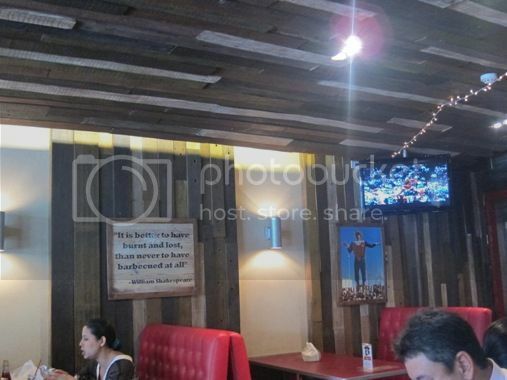 We ordered the following: Tortilla chips and Queso, Classic Chicken Fingers with Honey Mustard, Baby Back Ribs, Griddled Fish with Salsa Ranchero and outhern BBQ Meatloaf. We actually wanted to skip appetizers, but since it would take a while for our orders to arrive, we opted to have these Tortilla Chips and Queso, and I was glad we did! 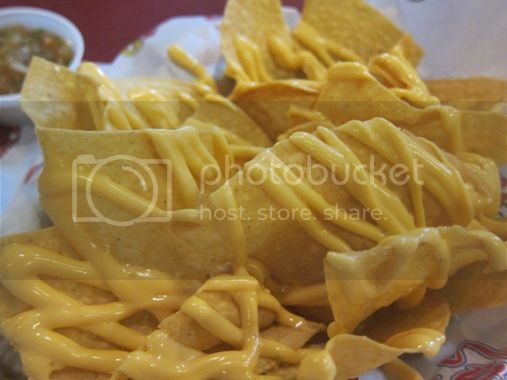 True to their promise, these Tortilla Chips were indeed freshly cooked; they were served warm and crunchy. We all agreed that these Chicken Fingers were delicious. These were also served hot. 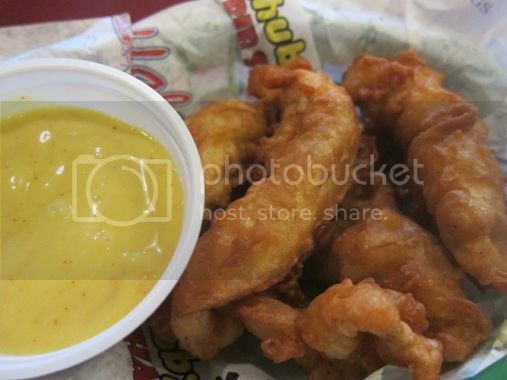 The chicken meat was very tender, and the honey mustard sauce deliciously complements these already yummy treats. This was actually for the little boy, but he agreed to share it with three adults. Hubby liked the fall-off-the-bone tenderness of this half-pound smoked rack. He also said it’s succulent and flavored just right. This was my order. 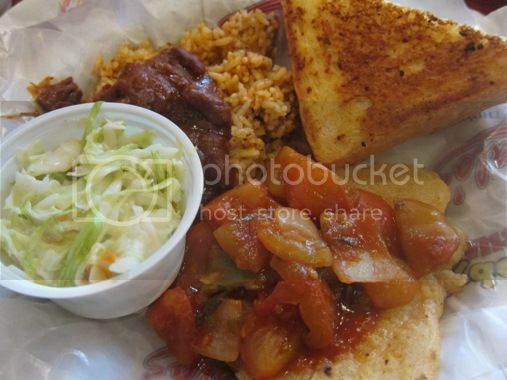 I loved the Honky Tonk rice, tender sole fillet and the coleslaw, but I didn’t like the sour and spicy salsa ranchero; it was a little too sour for my taste. I ate some of it, but decided to set it aside on my plate. This was for Justin’s yaya. The meatloaf was moist and tender. It was also a bit spicy but delicious. 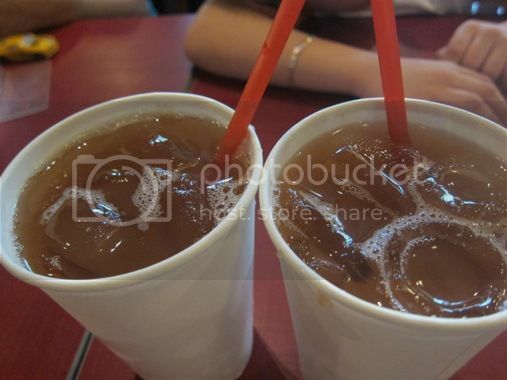 This tasted somewhat different from the usual iced tea, but I failed to ask the waiting staff what made their ice tea taste that way. But don’t you worry even a wee bit because the taste was not repulsive. 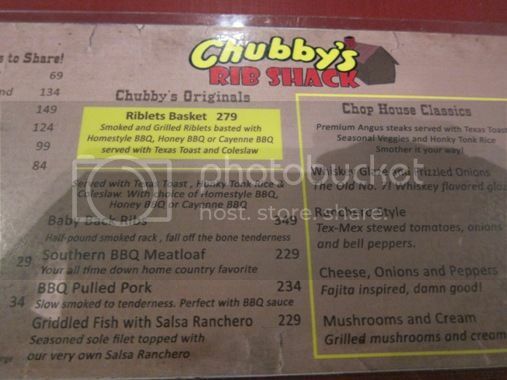 Because we enjoyed the food at Chubby’s Rib Shack, we will surely visit this place again soon. Ground Floor, Solaris One Bldg. 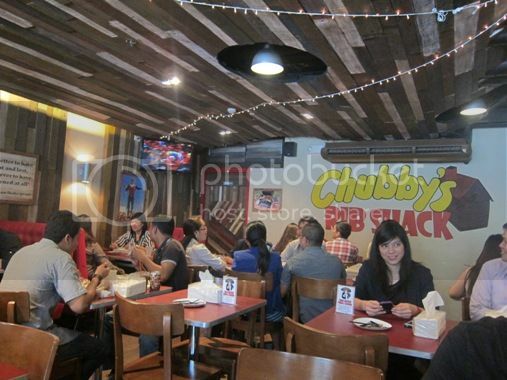 This entry was posted in American Cuisine, Chubby's Rib Shack, Food Friday, Food Trip Friday. Bookmark the permalink. 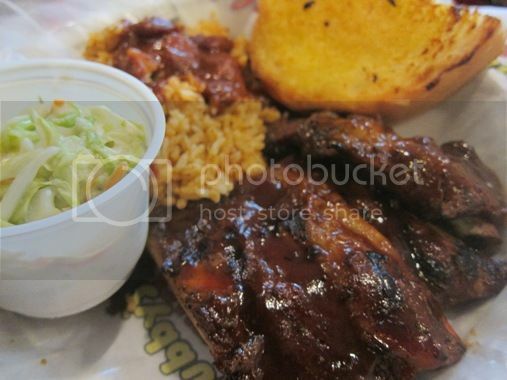 i want that chix fingers and ribs! Baby back ribs for the win! 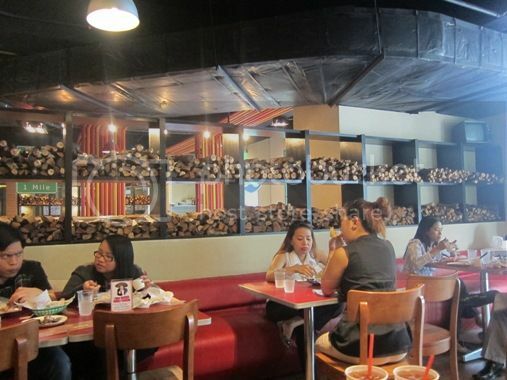 I think I only get a dose of those whenever we dine in Kenny Roger’s. The fish looks good too. awww! what a pretty witress next to a handsome boy 🙂 what a food feast to munch 🙂 Dropping by from last weeks Food Friday. oooh, looks like a place my family would love! thanks for the heads-up, sis!